Seton Hall University junior and WSOU 89.5 FM staff member Jose Feliciano was honored last week at the Worldwide Radio Summit (WWRS) in Burbank, Calif. as one of only three college students nationwide to be named winners of the competitive Ria’s Rising Stars Foundation Scholarship. As an awardee, Feliciano attended the conference and received mentoring and networking opportunities to help further his professional development. Each year, the WWRS brings together some of radio’s most prominent leaders and talent from around the world. A member of WSOU since his freshman year, Feliciano currently is the station’s Staff Representative, where he serves as the voice of the 120+ student staff members on the nine-member student management board. He is also a DJ, newscaster, and sportscaster for the award-winning station. 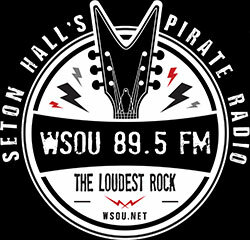 Feliciano is the second WSOU staff member and Seton Hall student to receive this prestigious scholarship. Current Station Manager Alicia Campos was a 2018 Ria’s Rising Star honoree. In addition to Feliciano, Kati Robinson of Appalachian State University’s WASU and Mallory Moreno of the University of Indianapolis’ WICR were also recipients of the Ria’s Rising Stars Foundation Scholarship. All scholarship awardees receive access to talent and programming consultant Tracy Johnson’s Audience Magnet course, which teaches radio personalities to become highly successful at their craft. The Ria’s Rising Stars Foundation was established to honor the memory and legacy of Ria Denver, co-founder of All Access, with a mission to nurture the careers of future broadcasters. More information about the WWRS can be found at www.worldwideradiosummit.com.